According to lunatic climate change alarmists, climate change is caused by burning fossil fuels in combustion engines and coal-fired power plants. 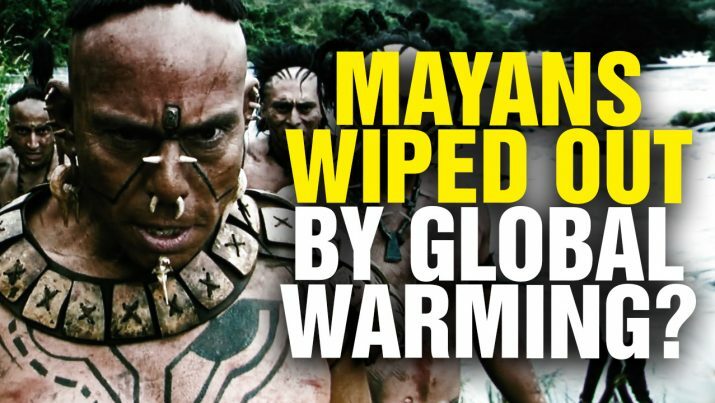 But now a new study says that Mayan Civilization (350 A.D. – 900 A.D.) was wiped out by “global warming” and climate change. HUH? That’s 1500 years before the invention of the combustion engine. The Mayans didn’t have coal-fired power plants, stupid! Mayan civilization wiped out by COAL power plants? HUH? from NaturalNews on Vimeo.